Start or Finance Your Business the SBA Way: Free Seminar in Tiffin, Ohio! The U.S. Small Business Administration (SBA) has been guaranteeing bank loans to small businesses since its creation by Congress in 1953. The guarantees enable entrepreneurs to obtain long-term credit that otherwise would not be available on reasonable terms and conditions. 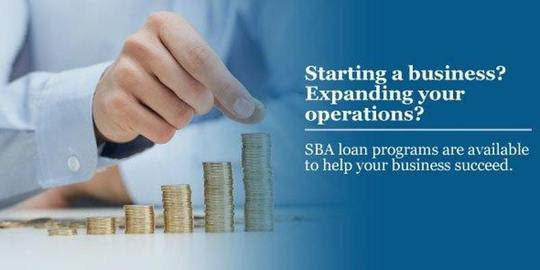 The SBA guarantee loan program is an invaluable tool for people in business and those looking to start a business. In 2017 the SBA Cleveland District (which includes Seneca County) approved 1,818 loans in the amount of $437,604,000. Whether you have an idea and need help getting it off the ground, or to take your business to the next level, we are here to help. The SBA and our partners provide hands-on training, mentoring, and expert advice to meet your needs. What better time than now to get started. Visit the SBA-South Carolina District Office at sba.gov/sc or call (803)765-5377. We are here to help you build, grow, and succeed! Check out all of SBA's and our partner's workshops for starting and growing your business in Nebraska! This free, 1 hour 'virtual' workshop will be hosted by the Fresno SBA Office, and conducted by officers with the Verifications Division of U.S. Citizenship and Immigration Services (USCIS) from the U.S. Department of Homeland Security (DHS).This webinar is designed to teach business owners, employers, HR professionals, and others about Form I-9 and E-Verify. JOIN SBA AND SCORE FOR NETWORKING!!!!! You are invited to join fellow SCORE clients and other business owners for a couple of hours of conversation and networking. You'll have an opportunity to exchange experiences and ideas. You will also have a chance to broaden your exposure to other start ups and small businesses. We'll also have SCORE mentors to offer information about services and other programs. The event will be loosely structured to allow maximum of opportunity for participants to meet and network.